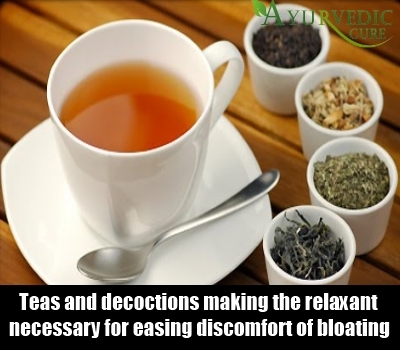 [toc]Bloating refers to an increase in the abdominal area, characterized by an abnormal swelling. Gas and bloating indicates that food is not being digested properly. The presence of bloating can be both an uncomfortable as well as embarrassing problem, and this affects the normal life if the affected person. There can be several causes for bloating, including excessive gas, consumption of the wrong foods, constipation, over eating, irritable bowel syndrome, menstruation, PCOS and pregnancy. 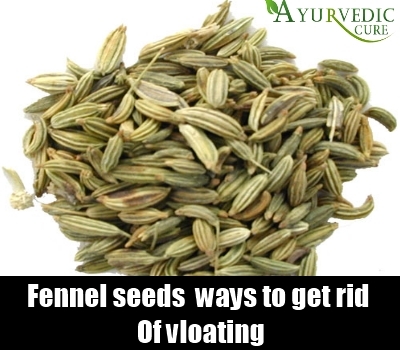 An age old, time tried remedy for bloating is to be found in a decoction made by grinding the fennel seeds and pouring a glass full of boiling water over two table spoons of the powdered fennel seeds. When this warm decoction is drunk frequently it provides almost immediately relief from gas and bloating and is a known preventive measure. Simply chewing on the roasted fennel seeds after a meal is an excellent preventive measure and is also a mouth freshener. These are muscle relaxants that concentrate on the digestive passages and allow the festering gases trapped within to escape and provide immediately relief. Ginger in the fresh form is a wonderful ingredient for making the relaxant necessary for easing the discomfort of gas and bloating. Freshly grated ginger is added to hot water and the tea can be sipped periodically giving relief with every cup. These are some other additives that can provide almost immediate relief from discomfort of bloating like parsley, caraway seeds and even dandelion. The fresh parsley is boiled in the water as are dried caraway seeds and dandelion weed to form soothing teas which provide immediate relief. 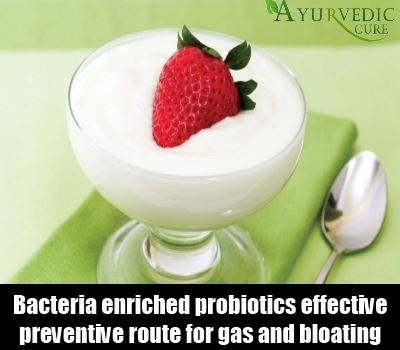 Another effective preventive route for gas and bloating is by charging the body with probiotics like yogurt, whey, pineapple etc. They are all bacteria enriched food products that effectively chase away harmful gas causative or bloating retentive bacteria from the digestive passage. With daily and sustained use of these food materials the acute manifestation of the symptoms can be prevented totally. 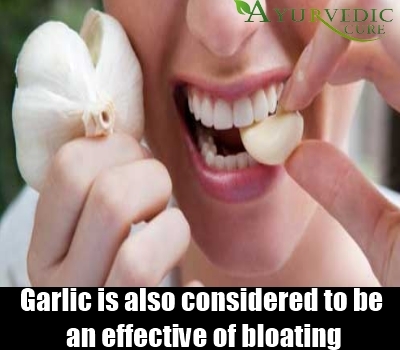 Garlic is also considered to be an effective, measure that activates the gastric system of the body. The fresh garlic provides great health benefits and fast relief in treating gas and bloating. Garlic soup can be taken, as the warm water will stimulate the activity of garlic. Garlic can also be sautéed in olive oil and added to vegetables and chicken. 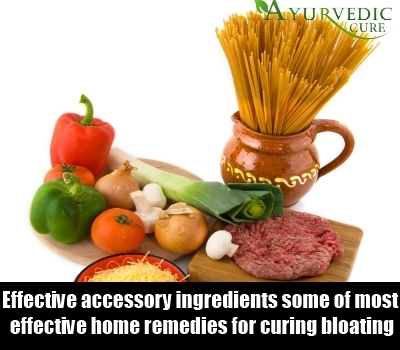 Among some of the most effective home remedies for curing bloating is the extensive use of garlic and asafetida in food preparations. Both are strong smelling ingredients which is probably why they are left out of most recipes. Odor apart, these two digestive agents are the most effective prevention regimes against painful gas and bloating. Therefore it is necessary to include these basic preventive elements regularly in the everyday food intake.